Mahmoud Salehi: back in jail! The Mahmoud Salehi Defence Committee has announced that he was returned to Saghez Central Prison on Saturday, November 11th, despite the advice of the doctor treating him. Mahmoud Salehi, a well-known labour activist from Saghez in Kurdistan, was arrested by Intelligence Ministry agents on October 29th on the pretext of having to serve a one-year prison term. As his heart condition deteriorated he was transferred to the prison infirmary on November 3rd and then admitted to the intensive care unit of Imam Khomeini Hospital in Saghez. According to ILNA, Mahmood Salehi’s family have said that the physician treating him had advised that he should be sent to a hospital in Tehran, Tabriz, or Urmia for continuing his cardiac treatment. Mr Salehi has already undergone heart surgery twice this year. At the same time, Mr Salehi needs dialysis twice a week due to the loss of his kidneys while in the Sanandaj Intelligence Detention Centre a few years ago. He also has diabetes. According to some reports, Mr Salehi was accompanied by three prison guards while in hospital, with his legs in shackles. 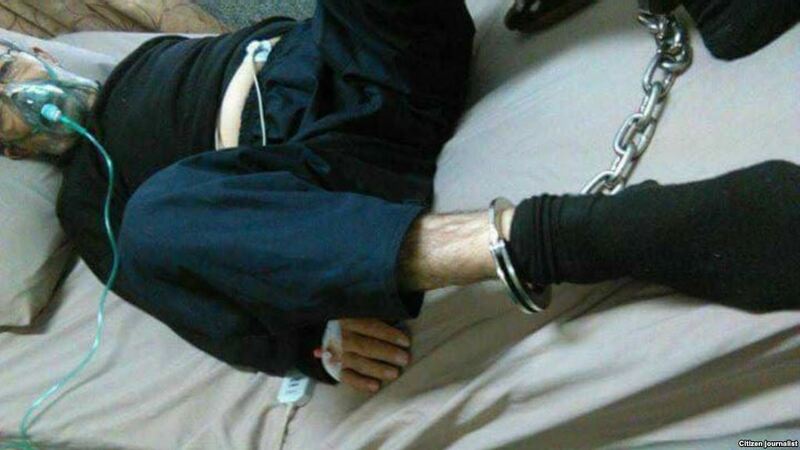 In a joint statement seven Iranian labour organisations condemned Mahmoud Salehi’s shackling as “an inhuman method and a relic of the brutal era of slavery.” International organisations, including the International Trade Union Confederation, have also condemned Mr Salehi imprisonment. The Iranian regime bears full responsibility for Mahmood Salehi’s inhuman and vindictive detention. Therefore his deteriorating health is also the responsibility of this vicious dictatorship. Source: Mahmoud Salehi Defence Committee and ILNA.